In respond to legitimate concerns over Android's generally weak security, Samsung came up with its containerization technology for higher-end Samsung Android devices including the Galaxy Note 3. It is called KNOX. In order to use KNOX, your device must support its virtualization technology at the hardware level. 1. Launch or open KNOX application on your device. 2. Read and agree to the terms and conditions. 3. Tap Next to continue. 4. Set/create and confirm a password. 5. Set/create and confirm a backup PIN. The KNOX installation process should now initiate on your device. Wait until KNOX installation is finished and it should already be integrated to your Note 3 system by then. 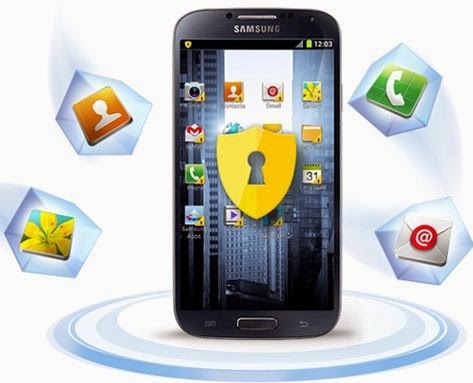 KNOX works in a way by separating data and apps into containers, thus making it difficult for malware or intruders to gain access or cause any damage to anything stored on your device or the device itself. It is integrated to a device's hardware and on individual level of the Android framework. KNOX software is regarded as a full-coverage solution.